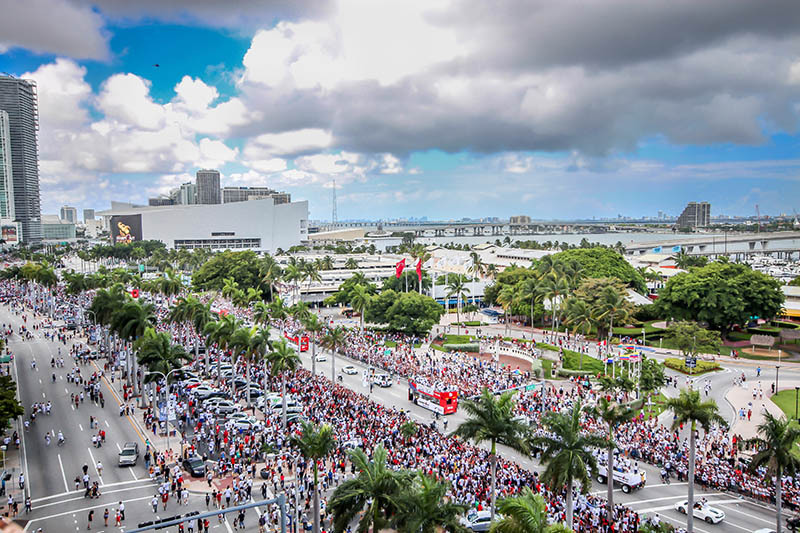 If you live in Miami then you have to be a Miami Heat fan (if not please leave)! The AAA arena where the heat play is located in Downtown Miami. Being able to walk to a game without worrying about parking is a huge luxury for residents! The entire area goes crazy during the playoffs! Sometimes the heat even throw a block party for everyone to watch the game on the jumbo screen outside the arena. Not to mention a lot of units have a great view for the championship parade ;). If basketball isn’t your thing, then maybe you may enjoy the Justin Bieber concerts or other shows. Whatever you are into, there is something to do at AAA arena! Mary Brickell Village is where all the cool people hang out. It is not as touristy as South Beach and designed more for locals. 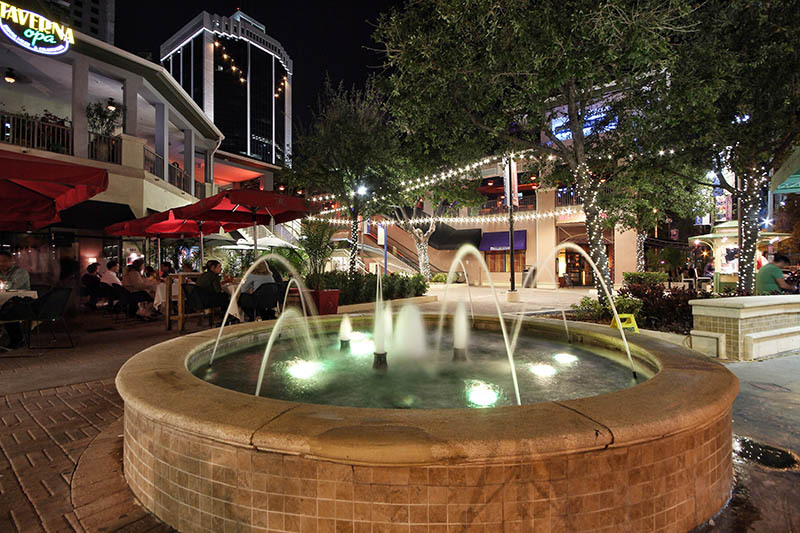 Mary Brickell Village is an area within the center of Brickell filled with tons of restaurants and bars. Most of the restaurants and bars have outdoor seating areas so the fun vibe spills over into the streets! People want to live in Brickell mainly because they want to be within walking distance to Mary Brickell Village. It is definitely the weekend hot spot and date night place! Go check it out if you want to have a good time! Count us in for an event where we can get cake pops, grilled cheese, nachos, and hip pops all in one location! Art walk is a free event that happens every 2nd Saturday of the month in Wynwood, Miami. Wynwood is a hipsters paradise filled with many art galleries. The area is most known for its graffiti and street art covered buildings. During art walk all of the art galleries open their doors for everyone to walk through and admire the art. Along with the cool art, there is live music and DJs setting a cool vibe. In our opinion the best part is the field of over 50 food trucks! Overall Artwalk is a great way to spend a Saturday night!